Do you know the terms UPNP, DLNA, and DMR? … No? … Neither do we. But the truth is, if you own a Smart TV – you know, the TVs which are able to connect to the home network and internet – there is a great chance your TV is supporting these features. 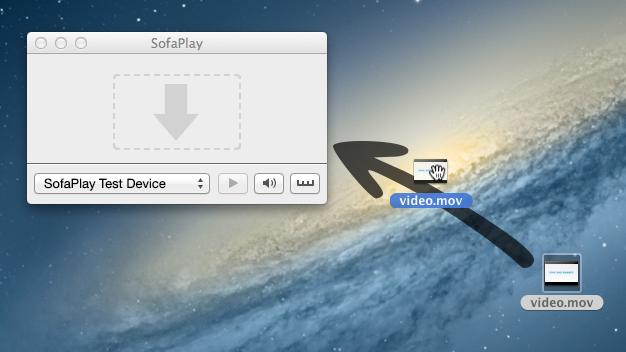 SofaPlay allows you to take advantage of them and play media files directly from your Mac on your tv. Just drag any movie file onto SofaPlay and it will appear on the big screen in front of you. SofaPlay streams your video wirelessly to your TV. No configuration needed, no hassle. Just drag and drop. It’s like AirPlay, but for the rest of us! Yes it is. If you don’t own an Apple TV, but a fancy new Smart TV with network connection, SofaPlay will take care of your video streaming needs. What SofaPlay does, is basically use a few functions which are buried really deep inside many Smart TVs and exposing them through a nice and intuitive interface. Just start the app, let it search for your device and drag a media file onto it. It will appear immediately on your big screen TV without you touching your TV’s remote control and navigating through complicated menus. Your Mac is completely controlling and managing your TV and taking care of the streaming. Just lean back on your sofa, get some pop-corn and enjoy a movie, or two. So is your TV or Set-Top Box compatible? That’s the big question. We are supporting every device, which is supporting the UPnP/DLNA Digital Media Renderer standard. Fortunately, most of the new TVs are working with SofaPlay. Also, there are a few Blu-Ray Players, which are supported. If your device has a network connection (wireless or wired), there is a great chance it is supported. Before you buy SofaPlay, please use this little app to check if your device is compatible. Also, consider heading to our FAQ page for a list of working devices. If you need any assistance, don’t hesitate to contact us. UPDATE: We have decided to release a free time-limited version of SofaPlay called SofaPlay Lite so are able to test your TV setup yourself at home. Just download and try it to see if it works. The video/music functionality is limited to two minutes of playback, but you can display images for an unlimited time. Sounds nice! Where do I get SofaPlay? 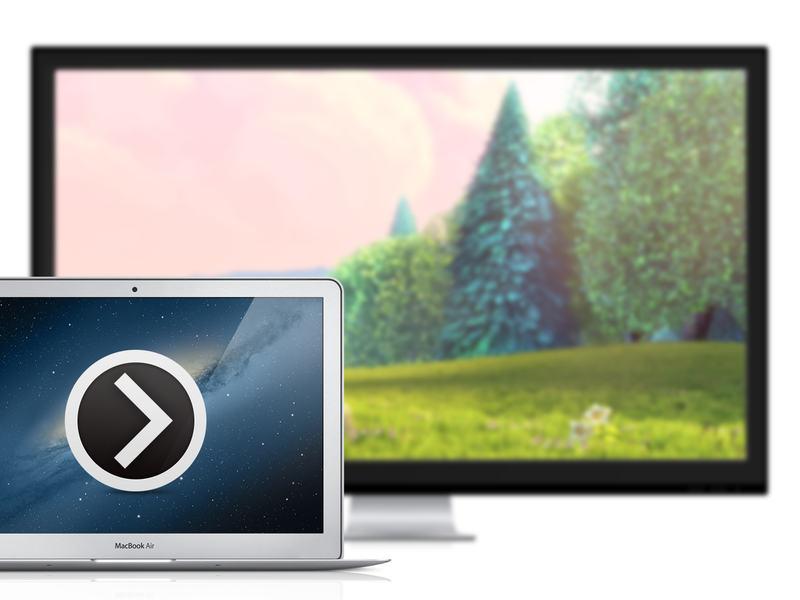 SofaPlay is available in the Mac App Store. You can also download the free time-limited version here to see if it’s working with your device!